Expansion 2, only playable with the basic Kingdom Builder. New locations and new challenges are what this land needs! Four new landscapes, each with two different location spaces, provide new options for shaping the kingdom. What's more, the task cards challenge the players to build their settlements in a certain way in order to gain even more gold at the end of the game. 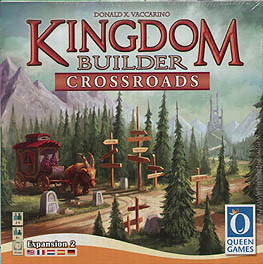 All Kingdom Builder expansions may be combined with the basic game and in any combination.